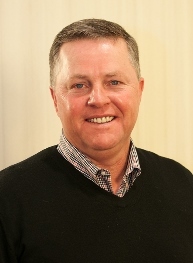 David Herring is vice president of Hog Slat Inc., a family owned business engaged in turnkey construction of confinement-type hog units, manufacturing and distribution of hog equipment and production of live hogs. He is a 1981 graduate from the N.C. State Agriculture Institute with an associate’s degree in livestock management. David is a graduate of the National Pork Producers Council’s Public Policy Leadership Institute and a past-president of the NC Pork Council. He currently serves on the board for the National Pork Producers Council the NC Pork Council’s Public Policy Committee and PAC board.